The Robinson Crusoe Island Resort is famous for providing traditional island style dorm rooms & hotel bure rooms in a sheltered tropical lagoon. Also known as 'The Island of The Fire Dancers', Robinson Crusoe Island is a beautiful tropical isle with a tranquil blue lagoon, fringing coral reefs, a long white sandy beach, swaying palm trees, traditional thatched bure, soft island music, fresh tropical fruits and friendly pacific islanders. The Robinson Crusoe Island Resort in Fiji provides guests a choice of comfy Tribal Dorm Rooms, delightful thatched Bures or Island Lodge accommodation with private ensuite bathrooms. The bures and dorm rooms have shared bathroom facilities. The Robinson Crusoe Island Resort is well known for its great food - traditional Island lovos, island feasts and spectacular Polynesian/Melanesian dance shows 6 times per week, where the island girls dance with knives and fire. The free activities at this island resort include daily snorkeling trips to the fringing coral reefs, sea kayaks, traditional fish drives, coconut jewellery making, learn island dance, culture talks, jungle bush walks, crab catching, kava ceremony at the sunset bonfire, Pirates Night Club and the Midnight Beach Bonfire. The Robinson Crusoe Island Resort offers day cruises in the Fiji Islands, sports fishing, snorkeling, scuba diving and Fijian cultural events, all at an affordable price for the backpacker or budget conscious traveller. 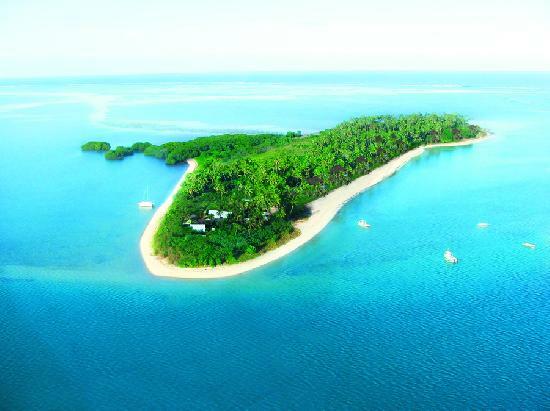 If you are looking for affordable accommodation on a beautiful Fiji Island, spend some time at Robinson Crusoe Island. There are a number of free activities on the Robinson Crusoe Island including Happy Hour every evening from 5pm at the Wreck Bar, Fishing and snorkeling trips to the magnificent fringing coral reefs, fishing and cooking your own catch over hot coals, beach volleyball, Reef walking with a village guide, kayaking around the whole island and exploring the lagoon, compete in Robinson Crusoe Survivor, enjoy the amazing South Pacific Dance Spectacular and even a Fiji style beach party around an open fire under a starry sky. Other activities that can be arranged include Scuba Diving, Tube Ride, Water skiing, Sports fishing and even a relaxing Polynesian massage.